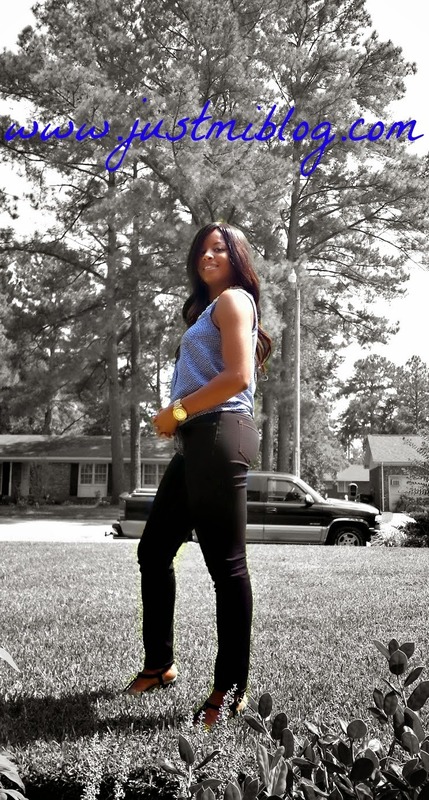 September 2014 | Just Mi! I know I'm a little late but it's time for FabHER Fridays! Be sure to come back next week!! Have a great weekend! As for me, I'll be celebrating my birthday tomorrow!! This weekend will be grand! I have a great big announcement to make!!! My niece is here...and this post is for her! We're so grateful she made it here safely. To make a long story short, shortly after finding out she was a pregnant my sister had two very invasive surgeries in her abdomen area. She was in the hospital for two weeks...BUT GOD!!! My niece is healthy, pretty, and fat as all get out! :-) She looks just like her brother. I can't do anything but thank God for her safe arrival. I know He has great plans for both her and my nephew. Pressure makes diamonds! It's only the beginning for this little girl! I love her so much already! I must report that I got off track this past month. I've been traveling and entertaining guests, so it's thrown off my workout schedule. That didn't stop my from making gains though!! I took about two weeks off from working out. I can definitely tell a difference. I'm working to get back where I was before I took that unscheduled break. I'm not too far off, so I know if I keep pushing I'll be back in no time! I've also noticed that I need to start some cardio. My endurance has decreased. I'm trying to work through sets as quickly as I can, so I can keep tension on the muscles I'm working out. That means shorter breaks in between each set, but since the break I get winded easier than I did before. I'm even having to pause in the middle of sets to catch my breath. I've never had to do that! So, I jog/walked about a mile yesterday around my neighborhood. I want to get to the point where I can jog the whole mile without having to stop. I'm still about the same weight (~140 lbs) and my thighs are the same width (24"). I've added in some exercises to try and grow my hip muscles. The muscles I'm focusing on are muscles like the tensor fasciae latae, the gluteus maximus, the gluteus minimus, etc. I'm skeptical about exercises affecting hip size because I feel like that's more of a genetics thing. Regardless of what I think, I'm giving it a try. I should have actually measure my hips to add that in, so I'll probably do add that measurement to this post when I get home this afternoon, so I'll have something to compare in next month's update. Seeing results from the new workouts will take longer than seeing results from something like squats. Squats are a compound workout. They work out multiple muscles in one movement. A workout like the side leg raises is more of an isolated workout, so it works fewer muscles. The amount of weight I can add on top of those exercises is minimal, which is another downside. When I started squatting I saw results soon after. A muscle has no choice but to grow when you're squatting 185 pounds! Leg raising 185 pounds is not likely to be happening, lol!! I know seeing results from the isolated workouts is going to take longer, so I'm just going to have to take my mind out of it...thinking that I'm not making progress if I don't SEE it! I'm not a exercise guru, but I've done the research for the areas I'm concentrating on...plus my boyfriend helps me out a lot with the info part! Working out is an ongoing process. I'm going to continue on and hope for the best as I (and my muscles) grow! 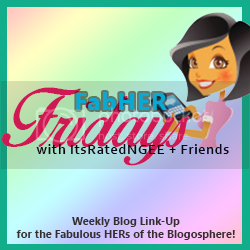 FabHER Fridays is a new way for ladies in the blogosphere to link up with one another. You can share posts of your choosing, old or new. Just pick a fave, share, and hop around the other links! I hope you've enjoyed yourselves. Have a great weekend!! It's been such a long time since I've done a recipe post. I decided to share the dinner I made last night. It's not necessarily quick and it's not necessarily the healthiest BUT it's definitely easy!! 1. Take a clean green pepper & peeled onion and dice. Sauté both. (I like to sauté mine in butter but you can use oil. 3. Season the shrimp with salt, pepper, and salad supreme (sounds weird, but it's tasty)! 4. 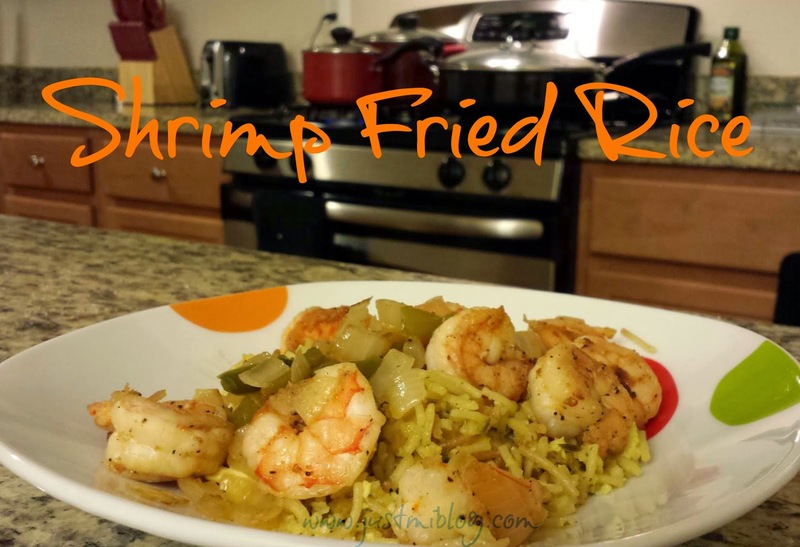 Combine both the veggies and shrimp in the same pan and cook to combine flavors. 5. Cook Rice-A-Roni as instructed. and let them cook together for a few minutes to combine flavors. ...and there you have it. Sometimes you don't want to get super fancy. Yeah, I ate my shrimp with Rice-A-Roni. The shrimp also goes well with oriental-flavored ramen noodles. That's what the kitchen is for...mixing and matching! What are some unlikely combinations you've put together in your kitchen?? My part two outfit for Labor Day Weekend was more chill. I was planning on being up, out, and about all day, so this outfit allowed me to do more ripping and running! 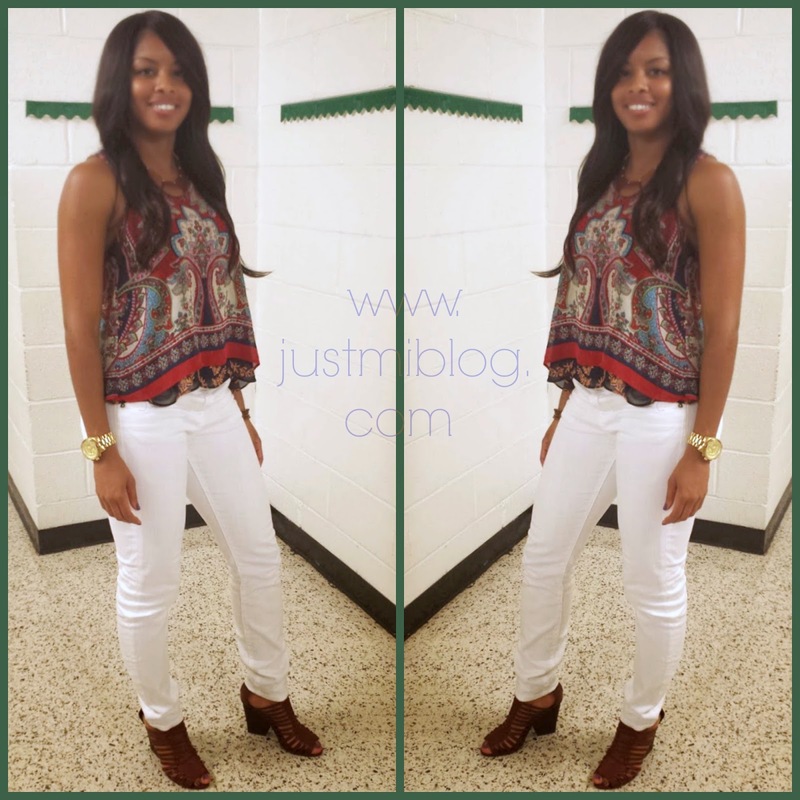 This outfit is another TJ Maxx original! Same shopping trip as Part 1. I'd been searching for black pants and just so happened to get lucky in that department too. The tie-front shirts were popular this year, so I wanted to try my hand at this look! Like the other top, I'm hoping to wear this one a few more times before Autumn. I know the sandals are hard to see but I ran up on a great sale at Belk by accident. The sandals are navy blue and cork colored Lauren (by Ralph Lauren) wedges. I got these beautiful sandals for only $15!! I love catching good deals! I also found this pearl necklace (that I SUPER LOVE...and wear every chance I get) by chance. I'll have to do another post about the shoes and necklace at a later date! I spent some time this weekend getting creative with my pics. I have plans for my future in photography so I wanted to spend more time working on my photoshop skills. The pic to the right is my fave. I'm sure by now you know I'm from NC. the trees, the manicured lawn, the neighborhood, the pick-up truck, the shrubbery, the bright sun (bka the heat :-)! Being away from what you've known all your life makes you see things a little differently. I'll always enjoy the visits! Can you tell I'm nostalgic?!? (I have not been paid for this post, neither is this sponsored by TJ Maxx, Belk, or Lauren by Ralph Lauren. I attended a family reunion during Labor Day weekend. I wanted to look nice and I decided to go for a summer looks, so I had to shop for new outfits. I've been looking for white pants ALL summer. It'd be just my luck that I'd find a pair right before Labor Day! You know the "rule" is not to wear white after Labor Day. because I plan on wearing these pants a few more times this year! I love that this shirt opens in the back like butterfly wings...makes me feel like I'm flying! I tried to capture that with the photo, but you can't quite see it. I'm definitely hoping to wear this a few more times before it gets too cold! The whole outfit came from TJ Maxx. That's right, I'm somewhat of a Maxxinista! LOL. TJ Maxx seems to be one of the best places for me to find clothes these days. The sandals are from Forever 21 (another place I have luck finding cute clothes). and I'm still taking suggestions. I've got a short list and at the top of that list is ASOS. What are some other stores you'd suggest I check out?? I have not been paid for this post, neither is this sponsored by TJ Maxx or Forever 21. These thoughts are totally my own...unpaid and honest. AND since I've got you attention, you all know what tomorrow is!!!! My new hostess job has taken over Fridays!! Come back to show some love and support on FabHER Fridays!! I've talked about this for months on end and the day finally came! And as I write this post, it's not exactly new anymore...but it's new to you guys. 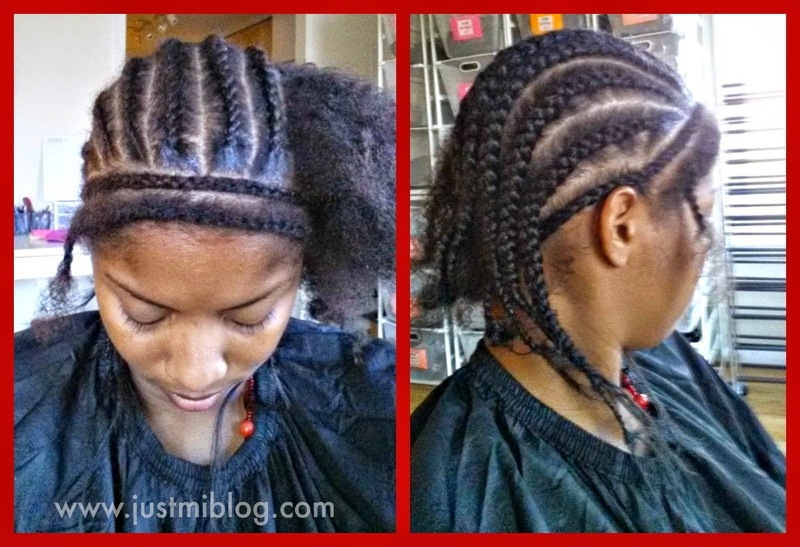 So, I'm going to share the happenings of my full sew-in and my honest opinion about how it's gone so far. 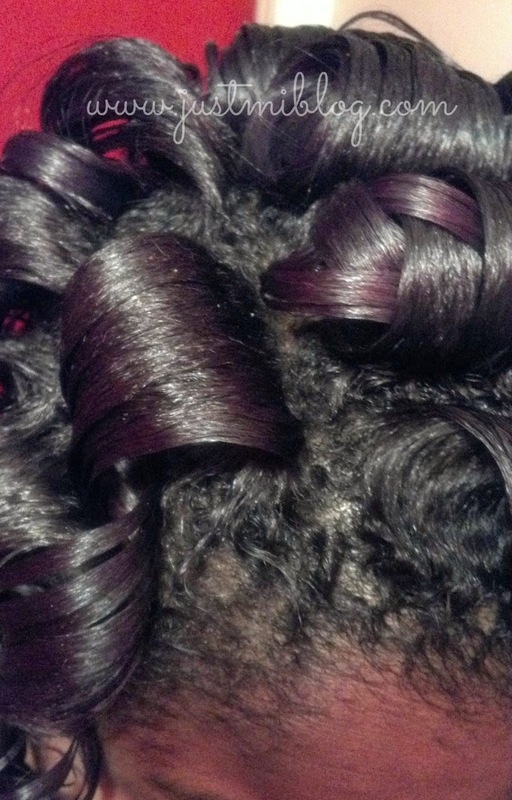 The whole purpose of the sew-in is to give my hair a chance to rest and do nothing but grow. I've been having so much trouble with my hair and the split ends I'd created...see here, here, or here to read a few of my gripes! Getting my appointment was a hassle in itself but after 2 canceled appointments and 2 months of waiting during the rescheduling, I was able to get it done before my trip home. I know I've been ghost for a little while, but it's been a crazy few weeks for me. I've had so much to happen that I need to update you guys on, so keep an lookout this way for the posts soon to come! This is a brand spanking new link up y'all! 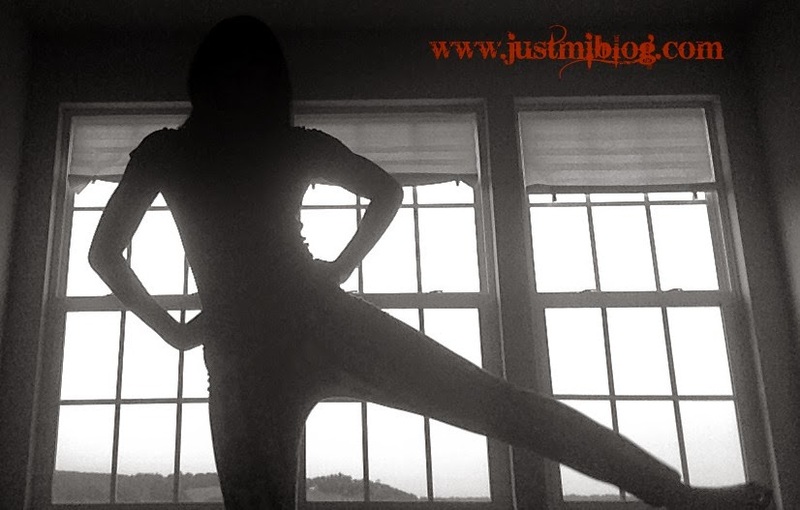 There are so many fabulous HERs in the blogosphere. If you're reading this, you're probably one of them!! We think it's an injustice not to know about one another! 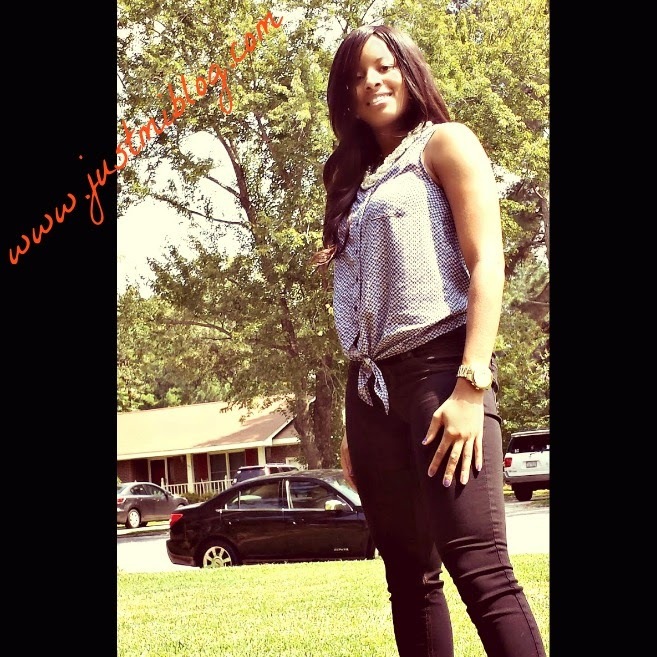 This link up is dedicated to helping you all share your niches (from natural hair to fashion to mommy hood to so much more) with one another! You can share one post of your choosing. It can be recent, it can be old...pick your favorite and share it with us all! 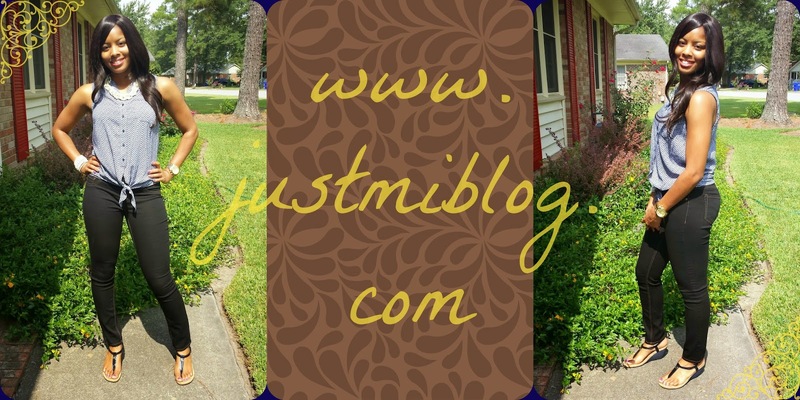 This link up will be the perfect way to meet new blog friends, connect, and gain new opportunities for growing our blogs. FabHER Fridays will happen every week at 12 PM. So, come back!! Our goal is to grow this into the wonderful link up we know it can be! Without further ado...let's get started!! 1. Submit your link to a post from your blog below. Submit any kind of post you want! 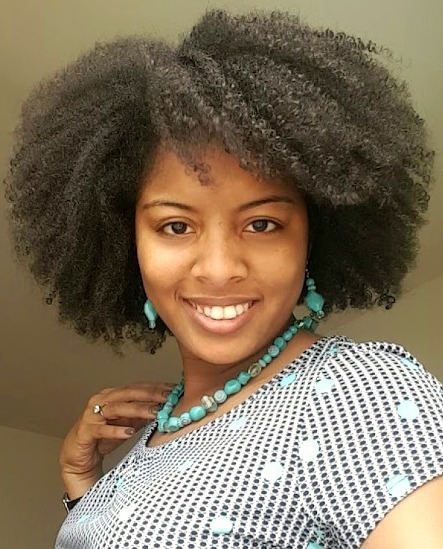 Tell us about your arts and crafts, your kids, your natural hair journey, etc. ANYTHING! To be honest, it would be great if you check out more than one post! Link your blog posts here! Hop around! Most importantly, have some fun! This is the first link up I'm hosting. I want to see this grow. I want to find some fabulous blogs and bloggers and I want other bloggers to find me! I encourage you all to get the word out and to enjoy!! Have a great weekend and See you soon! !